Building type: 4 Bay Garage with Shop. Building size: 30’ x 52’ x 16’. 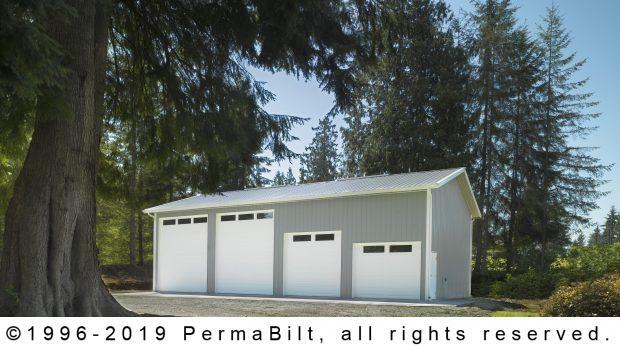 Garage doors: (2) 12’ x 14’, (1) 10’ x 10’ and (1) 10’ x 8’ long panel with plain lite panels. 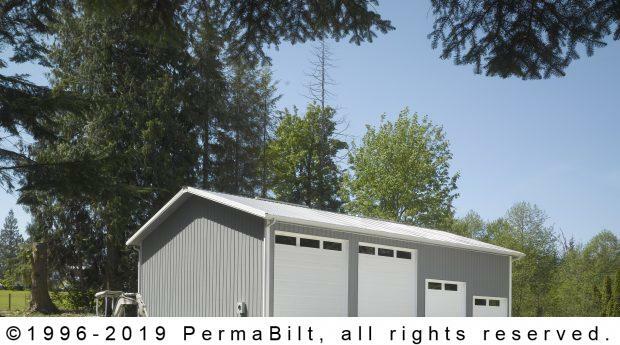 Walk-in door: (1) 3’ x 6’8” PermaBilt® door. The (4) garage doors were made up of (2) bigger 12’ x 14’ doors, (1) 10’ x 10’ and (1) 10’ x 8’. Our customers have several choices as to their preference in type and style of steel garage doors. All doors our client chose were long panel with plain lite panels that added natural light to the interior. Key accessories for the garage included full perimeter 18” eave and gable overhangs to keep rainwater off where the roof and wall meet. To enhance the overhangs appearance, attractive enclosed soffits were added. These officiants come in a variety of materials and steel was the choice on this garage and workshop. 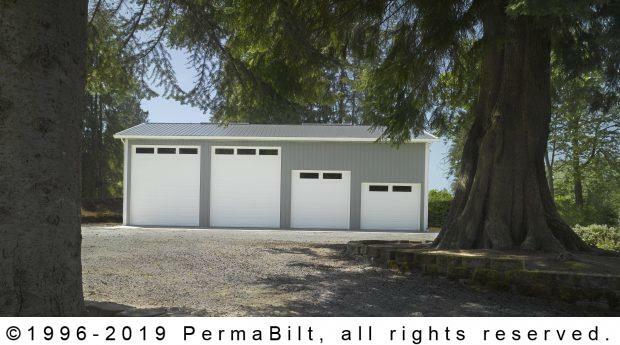 Once the 4” shop finish concrete was dry, our Monroe client was delighted to begin using his new investment for his projects in the shop and for the protection and storage of vehicles, both big and small.